What are pellets and how are they used? How to burn pellets and bio waste effectively. Ecological combustion of biomaterials. 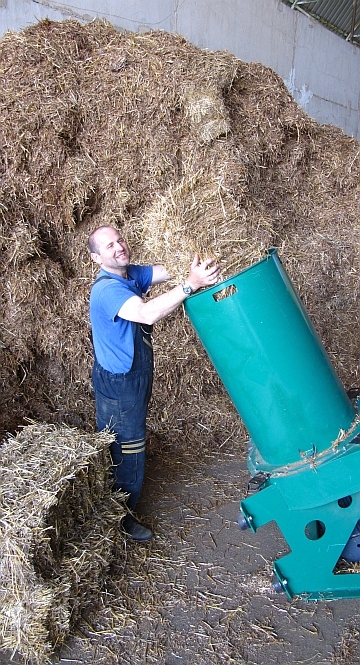 There are many ecological advantages of green biomass pellets - using waste products as fuel. These pellets are made by pressing various bio wastes, i.e. the waste after threshing corn and various other grains, various crushed kernels, waste created by coffee production, pulped sorrel etc. The word biomass may conjure up images of a waste product but this is not the case. Biomass is biological material derived from living, or recently living organisms/materials (plants, wood, fungi, animals etc). As biomass is a natural material, many highly efficient biochemical processes have been developed and many of these biochemical conversion processes can be harnessed. Because of that it is possible to use biomass also as renewable source of energy. Grown cereal itself presents a natural mini-pellet with very good heating power; its heating power is greater than that of other energy rich crop-plants. Corn as a fuel grows every year. Moreover, besides threshing it, it does not require any other processing (i.e. cleaning or sorting). Dry biomass can be wood waste (off-cuts, sawdust, shavings) or dry plant waste. This material is usually manufactured in its dried state. This material can be used as a feed, burned or gassed.